﻿I’m old enough to remember the very heated controversy over Maya Lin’s Vietnam Memorial design: the names of the dead etched in stark, black stone. How depressing! How disrespectful! Now, its “naming” focus is one that is copied the world over, including the new 9/11 Memorial, opening to the public on September 12. I visited “The Wall” in 1988. The Vietnam War shaped my youth, particularly high school and college. I stopped at the kiosk, got my paper and pencil, made a donation and set off to find the names of the two guys I’d grown up with. It had been 20 years since Ernie Sanazaro died, but it was still surprising to see his name there, so final, so permanent. I had a crush on him at one time, and his death, near my 16th birthday, was a shock. When I got back home, I wrote to his sister, asking if she’d like the rubbing (I didn’t want to just mail it to her without warning). As it turned out, she was grateful, and I sent it off to her. 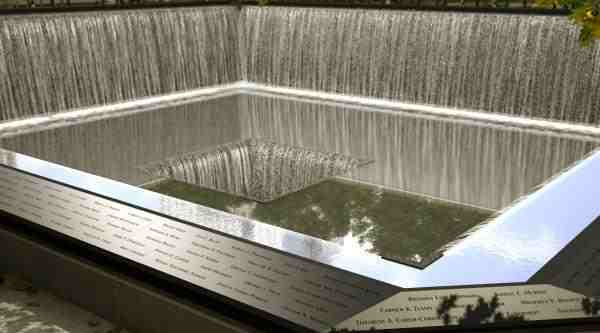 Today I reserved my ticket to visit the new 9/11 Memorial this September. I’ll be in New York for all the 10th anniversary events, to finish that chapter in my book. Last year, although I’d been to Ground Zero before, the memorial events I went to had quite an effect on me. I wound up spending one whole day literally talking to no one except when ordering my meals. I didn’t expect to be so overwhelmed. This Memorial, too, will include the names of all the victims etched in stone. I already know where to find Carol’s name, so I won’t have to wander around. I’d seen her name years ago, on the posters around the site. But this time, it will be permanent. I reserved two tickets, one for me and one for someone to go with me. I immediately emailed a friend in New York. If he can’t go, I’ll find someone else because I don’t think I want to go alone. I suspect the emotions this year will run even deeper; “big” anniversaries tend to do that. Two months from today, the papers and internet and TV will be full of stories about 9/11: reruns of original broadcasts, interviews, surveys, retrospectives, commentaries, observances. When you’re tempted to ignore it, remember those who lost someone that day – family, friend, co-worker. To learn more about the National September 11 Memorial and Museum, or to make ticket reservations, go to www.911memorial.org.